on water contamination and urban adaptation with Ashley Dawson. Our second Water Futures event for “Harvesting the Sky” looks at the future of cities and their role in mitigating climate change. With a focus on urban drinking water, Professor Ashley Dawson will cover everything from water contamination as a consequence of fracking to the privatization of infrastructure and ask: how does rapid globalization affect our drinking water, and how can cities adapt and provide a model for doing so? The A/D/O Water Futures research program, curated by Jane Withers, addresses and explores the drinking water crisis and asks: how can design help address this in the future? Responding to the tensions around water in the urban environment and the shift for cities to ban the single-use disposable plastic bottle, Water Futures aims to inspire designers to take action in reimagining our toxic drinking water culture and design alternative realities. 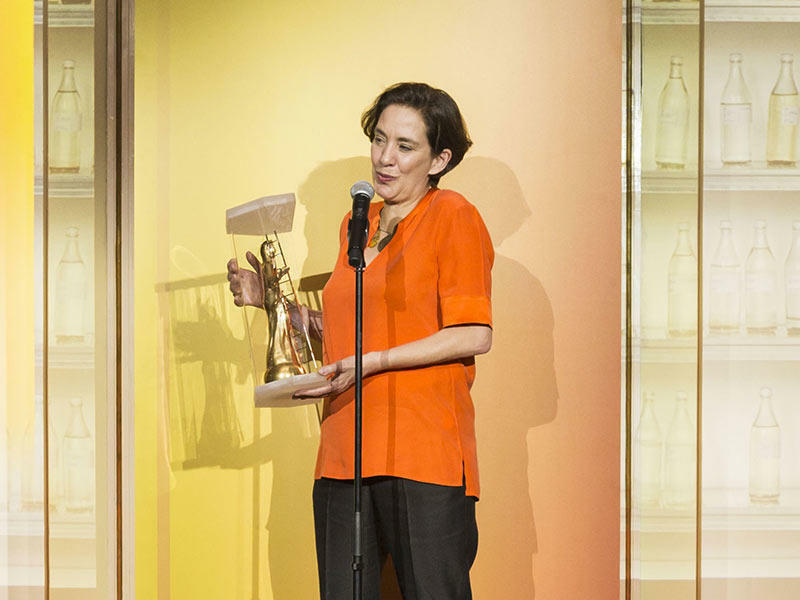 Water Futures recently won The Design Prize in the 'Experimentation' category. Winners were announced in Milan during Salone del Mobile 2018.